The Imperiled Bat Conservation Fund (IBCF), originally named the Indiana Bat Conservation Fund, was established in 2009 through a partnership between U.S. Fish and Wildlife Service (USFWS) Kentucky Ecological Services Field Office and KNLT. The IBCF is a multi-faceted fund that uses a combination of grant, mitigation, and federal discretionary funding to focus resources on bat, forest, and at-risk terrestrial species conservation in Kentucky. The fund is administered by KNLT with the assistance of the USFWS. Since 2011, KNLT has also managed a similar fund for the USFWS Tennessee Ecological Services Field Office. Since its inception, the IBCF has handled more than $19 million and has helped protect more than 15,000 acres of important bat and forest habitat in Kentucky. These conservation milestones were achieved through a variety of conservation partnerships. The fund was created initially to provide recovery-focused conservation for the federally-endangered Indiana bat, but, more-recently, funding has been directed toward landscape-scale efforts that will benefit Indiana bats and the recently listed Northern long-eared bat through 1) continued acquisition and protection of forested bat habitat, 2) habitat management and improvement, and 3) focused research and monitoring efforts. A landscape-scale approach to bat and forest conservation is expected to provide significant conservation benefits to forest-dwelling bats and other species that occur in those habitats; benefits that are not likely possible through isolated, project-based mitigation efforts. The IBCF has also funded a variety of bat research efforts throughout the southeastern U.S. These efforts have focused on identifying Indiana bat maternity areas, determining Indiana bat spring and fall migration routes, and habitat use and behavior studies of Indiana and Northern long-eared bats. Additionally, much needed research for other imperiled bat species such as the Virginia big-eared bat has been accomplished and will continue as funding is available and appropriate. These research efforts are critical for effective targeting of on the ground conservation efforts. Indiana bats and Northern long-eared bats have similar threats, however Indiana bats are even more vulnerable to disturbance because they hibernate in large numbers in only a few caves. Threats during hibernation include: 1) modifications to caves, mines, and surrounding areas that change airflow and alter microclimate in the hibernacula; 2) human disturbance and vandalism pose significant threats during hibernation through direct mortality and by inducing arousal and consequent depletion of fat reserves; and 3) natural catastrophes can also have a significant effect during winter. During summer months, possible threats relate to the loss and degradation of forested habitat. Migration pathways and swarming sites may also be affected by habitat loss and degradation. Both bats are severely threatened by white-nose syndrome (WNS), a disease affecting hibernating bats. WNS is named for the white fungus that appears on the muzzle and other body parts of bats, and is associated with extensive bat mortality in the northeastern and eastern U.S. The protection of summer, swarming and winter habitat is even more essential in the face of the threat from WNS. The disease was first detected in New York in 2006 and arrived in Kentucky in 2011, since then it has killed millions of bats in North America. Explore the interactive map below the see how WNS has spread over time (map #1) and to see a gallery of threatened bats and their associated range maps (map #2). Visit www.whitenosesyndrome.org to learn more. Since 2009, the IBCF has helped protect more than 15,000 acres of important forest-dwelling bat habitat across Kentucky. These projects represent partnerships between federal, state and nonprofit conservation organizations. The following is a highlight of some of the conservation successes to date. IBCF funding helped in the acquisition of 1,867 acres (two tracts) of forest on the southern end of Pine Mountain. 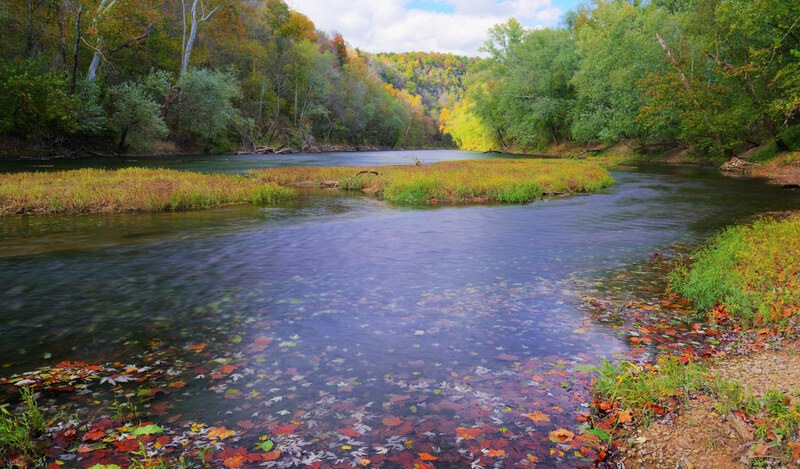 The land protects important fall swarming habitat for Indiana bats and is along Laurel Fork, a high-quality stream supporting a wide variety of aquatic life, including the endangered Cumberland darter and Cumberland elktoe mussel. The acquisition was a partnership among the U.S. Fish and Wildlife Service, Kentucky Natural Lands Trust and the Kentucky State Nature Preserves Commission. 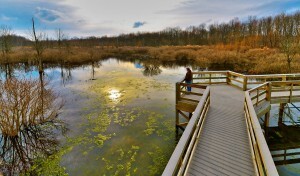 The IBCF provided funding for a 224-acre addition to this KNLT preserve that harbors unique wetland features, flowering American chestnut trees, and distinctive orchid sites. 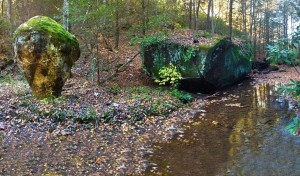 The 966 acre preserve is on the south face of Pine Mountain near Blanton Forest State Nature Preserve. The acquisition was a partnership between the U.S. Fish and Wildlife Service and Kentucky Natural Lands Trust. A 228-acre addition to the state historic park was purchased that protects important forest habitat for bats, as well as the federally-endangered running buffalo clover. The acquisition was a partnership among the U.S. Fish and Wildlife Service, Kentucky Department of Parks, Northern Kentucky University Research Foundation, Kentucky Chapter of The Nature Conservancy, Kentucky Heritage Land Conservation Fund and Kentucky Natural Lands Trust. 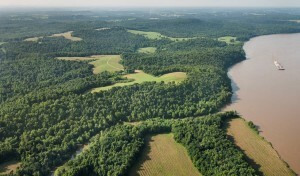 Several hundred acres of land along the Green River were protected through the acquisition of multiple tracts. The river provides important habitat for federally-endangered Indiana bats and gray bats that feed, roost and breed along the river. The acquisitions were undertaken via several partnership agreements among the U.S. Fish and Wildlife Service, Southern Conservation Corp., The Nature Conservancy, Western Kentucky University and Kentucky Natural Lands Trust. IBCF funding helped in the acquisition of the 6,732 acres (two tracts) that established the WMA/state forest, a property that protects habitat for over 40 known rare species and many neotropical birds. The tract's mature bottomland hardwood forests are home to the northern copperbelly water snake and provide important habitat for federally-endangered Indiana bats and gray bats. The acquisition was a partnership among the Kentucky Chapter of The Nature Conservancy, Kentucky Heritage Land Conservation Fund, Kentucky Division of Forestry, Kentucky Department of Fish and Wildlife Resources, U.S. Forest Service, U.S. Fish and Wildlife Service and Kentucky Natural Lands Trust. 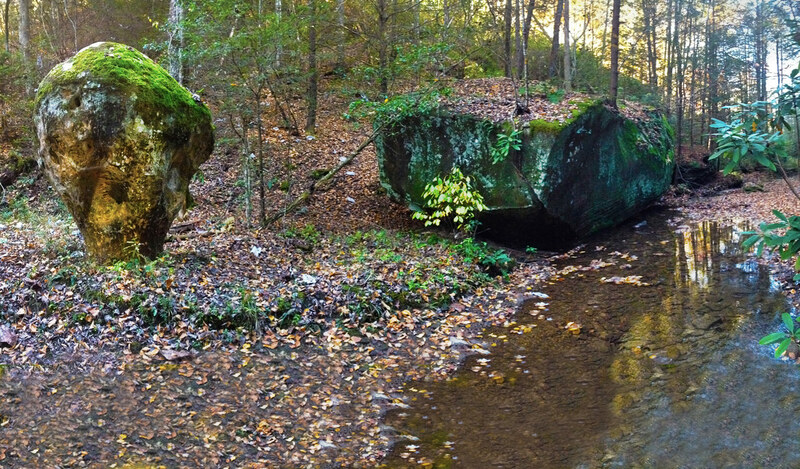 Several inholdings at the refuge totaling 453-acre were purchased protecting important bat habitat and one of the best remaining remnants of xero-hydric flatwoods in Kentucky. The acquisitions were a partnership among the U.S. Fish and Wildlife Service, Southern Conservation Corp., Friends of Clarks River NWR and Kentucky Natural Lands Trust. A 649-acre tract adjacent to the park was acquired protecting bat and bald eagle habitat. Once incorporated into the park, hiking trails for all ages and abilities including those with limited mobility are planned. The acquisition was a partnership involving the U.S. Fish and Wildlife Service, Kentucky Department of Parks, Kentucky Heritage Land Conservation Fund, Southern Conservation Corp. and Kentucky Natural Lands Trust. 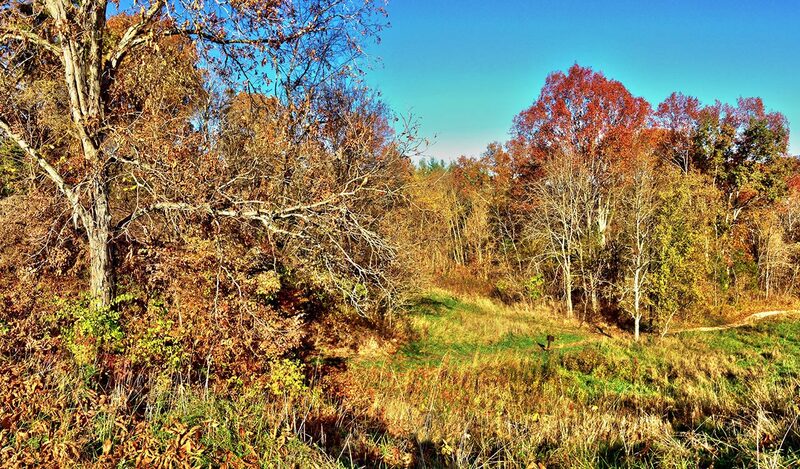 The IBCF has funded a variety of habitat management projects in Kentucky. IBCF funding has also been provided for select bat research projects focused on determining migration routes, habitat usage and behavioral aspects of the bats. The following are highlights of some of the funded projects. The gate at Bat Cave was repaired and a gate was installed at Laurel Cave, both caves are within Carter Caves State Resort Park, which includes designated critical habitat for the Indiana bat. The gate at John Henry Cave, within the Daniel Boone National Forest, was repaired. 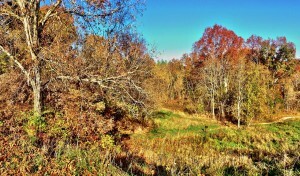 Several roost tree and forest habitat improvement projects were conducted at Fort Knox. Several female Indiana bat spring telemetry studies have been funded in Kentucky, Tennessee, Alabama, and Georgia that were aimed at identifying previously-unknown maternity colonies of Indiana bats. Indiana bat and Northern long-eared bat radio telemetry studies have been conducted to identify roost sites and roost tree characteristics. A variety of work has been conducted on Fort Knox, near Louisville, Kentucky, including forest inventories, Indiana bat maternity colony monitoring, a fall migration study, and roost tree studies. A study aimed at female Virginia big-eared bats as they exited hibernacula in eastern KY was funded in an effort to locate their maternity caves in and around the Daniel Boone National Forest. Beginning in 2016, a group of expert reviewers will review and make funding recommendations on land acquisition and management projects that seek IBCF funding. These reviewers, each with expertise in bat research and management, forest trends and management, conservation land acquisition, or related disciplines, are professionals that work in Kentucky and volunteer their time and provide their expertise to ensure that land acquisition and management projects funded by the IBCF meet the objectives of the Conservation Strategy for Forest-Dwelling Bats in the Commonwealth of Kentucky. 3. the reduction of threats and adverse impacts to bats. The reviewers operate on an ad hoc basis when sufficient IBCF funding is available to potentially fund project proposals. To ensure that the objectives of the Conservation Strategy are achieved, the reviewers, KNLT, and USFWS rely on a guidance document that describes and outlines the project review process and ensures its transparency.